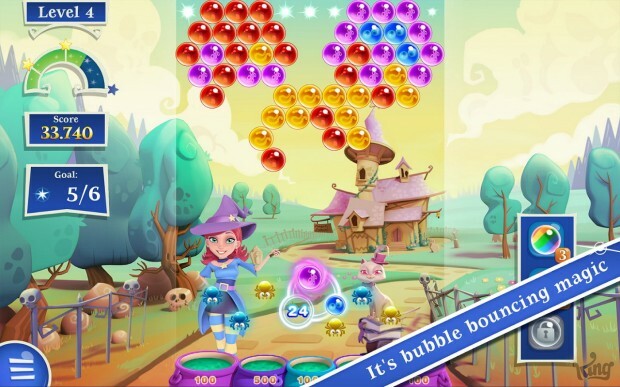 King Entertainment, better known for their smash hit Candy Crush Saga, have launched their newest game on Android and it’s a sequel to another one of their popular games Bubble Witch Saga. The game, aptly titled Bubble Witch Saga 2 continues the spell binding story of the original, although the action this time is set in the West. The game’s main character is Stella who is a good witch. Along with a couple of her trusty feline sidekicks, she sets out to defeat the evil ‘Morgana The Boss’ and rid Witch Country of all its evil spirits. 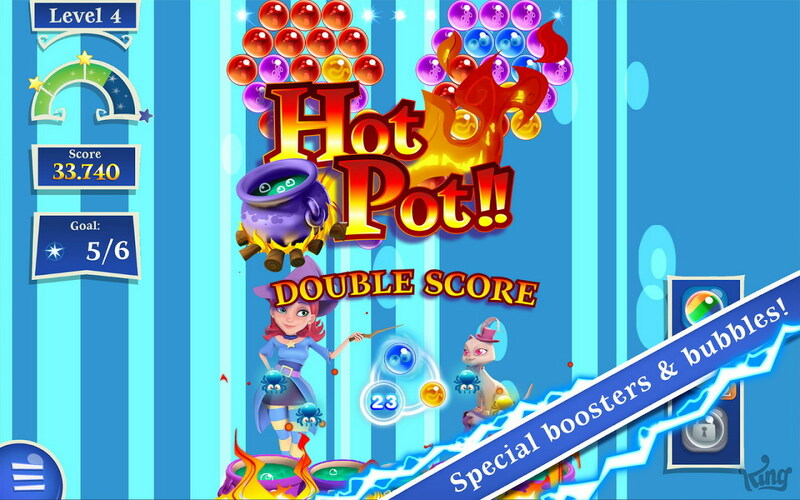 Defeating the dark forces requires travelling through various kingdoms and completing missions that involve collecting magic elements that are trapped within bubbles. 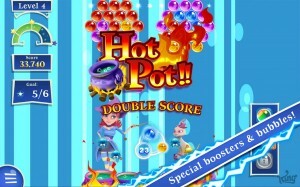 Top scores can be earned by creating two or three groups of bubbles and blasting them within a certain number of moves. The game has additional boosters to unlock tricky levels, and a number of gameplay modes such as Classic Mode, Save Mode and Wheel Mode with enough content to keep you playing for hours. Typical of most of the developer’s games, Bubble Witch Saga 2 can be synced to Facebook so that players can never lose their game progress. The game’s episodic levels, lively storyline, appealing game characters and spellbinding graphics make this game a must have one for your Android. 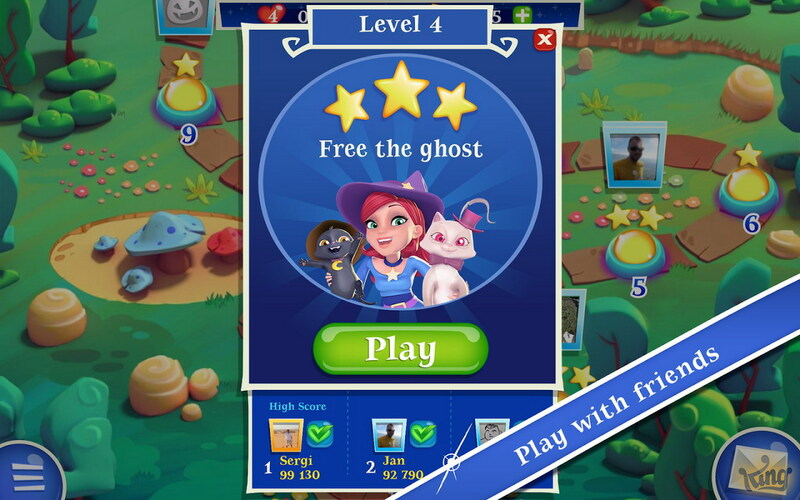 Bubble Witch Saga 2 is available on the Play Store for the price of free. Check it out and tell us what you think of the game. I love this game... Its colorful and fun, better graphics, sooo much better then the first part!